This classic espionage thriller changed the genre, introducing elements of religious and historical conspiracies into spy thrillers, paving the way for Dan Brown, Steve Berry, and James Rollins almost two decades later. Highly influential, it nonetheless reads as if it were written yesterday. In a remote monastery in Vermont, a mysterious man named Drew MacLane has spent the previous six years doing penance for sins that he committed for his government. He hasn’t spoken to another human being in all that time. His only personal contact is the hand that delivers his spartan meals through a slot in his door. Desperate to retreat from the world’s violence, he allows himself only one small pleasure, the companionship of a mouse, who visits him each night while he eats. When the mouse dies, nibbling some bread, a terrible suspicion makes Drew finally step from his room, discovering that all the monks have been poisoned. As a black-ops team searches the monastery, he realizes that his deadly past has caught up to him. For the first time in six years, he leaves his sanctuary to confront the outside world and the ruthless enemies that he prayed he had left behind. 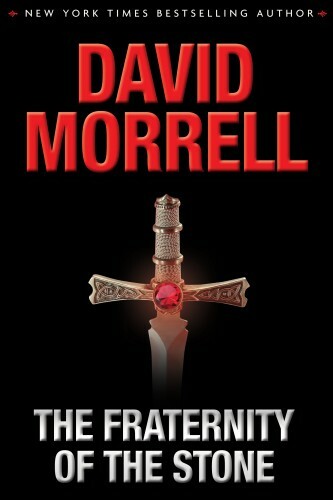 The Fraternity of the Stone is the second book in the highly praised Brotherhood of the Rose trilogy. It stands alone and requires no familiarity with the prior classic espionage novel. But together they form a powerful bond that culminates with The League of Night and Fog. This ground-breaking blend of an espionage and a religious thriller begins at the time of the Crusades and the invention of the word “assassin.” It was the first novel to deal with Opus Dei, the Vatican’s civilian intelligence community. If you like to read about ancient conspiracies that threaten the modern world, you’re in for a unique, compelling ride. I loved writing The Brotherhood of the Rose so much that I wanted to do another like it. But with one of the "brothers" dead, I couldn't figure out how to extend the earlier story. Then I had the notion of reinventing the character, of creating an alternate version of him, the most important element being that he too is an orphan. He and the remaining "brother" from The Brotherhood of the Rose join forces in The League of Night and Fog.